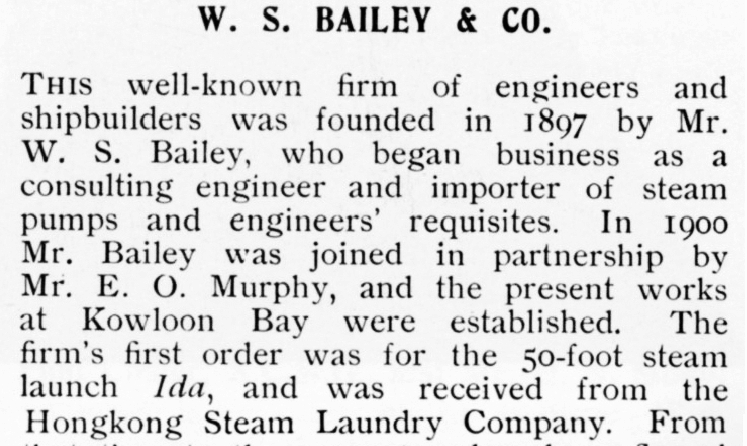 Hugh Farmer with thanks to IDJ: Some initial notes on WS Bailey founder with EO Murphy of WS Bailey & Co, Bailey’s Shipyard. Thanks to Robyn Evans, WS Bailey’s granddaughter for birth and death details. Robyn adds the information on his gravestone is incorrect.